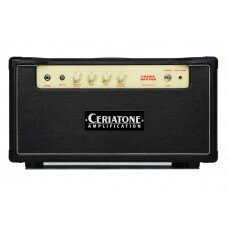 The Creme Brulee is a Custom hand-built, Ceriatone designed, 7/15 watt amp boutique guitar amp. Though based on the Matchless DC-30, it's not quite as powerful (which is good and bad), but this makes the master volume quite usable. The Creme Brulee is a Custom hand-built, Ceriatone designed, 7/15 watt amp boutique guitar amp. Thou..